A key part of convincing management to take on any new endeavor is being able tostate the benefits to the company. Let’s face it, upper management speaks another language and uses a different set of metrics, than what is spoken and used in operations. In order to capture their attention, you too must speak and present in their terms. In this article, Wayne Marhelski, VP of Global Sourcing for Sensus Gas Division shares his thoughts and experiences making convincing business cases that get management’s attention. 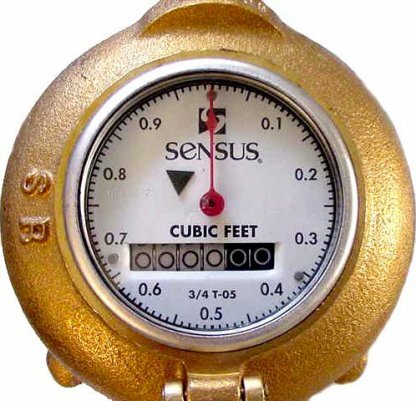 At the Sensus gas division, Marhelski oversees production of gas meters and pressure regulators for residential, industrial, commercial and transmission uses. His division accounts for more than $50 million of the company’s $800 million in revenues. The division has three manufacturing plants in North America and one in Beijing. Sensus is making significant progress in its lean efforts. Lengthy lead times, of 12 to 16 weeks, are one example of an issue Sensus had been addressing through their lean initiatives. Today, the long lead times are a thing of the past. Marhelski says, “We’ve gotten to point of zero past-dues, with no late deliveries. Lead times are down to 2 to 6 weeks, depending on product line.” He also notes that distributors have recognized Sensus’ success at reducing lead times and improving the rate of on-time delivery. In addition, some customers gained enough confidence in the company’s ability to deliver that they agreed to a request from Sensus to order multiple shipments throughout the month, rather than one large monthly shipment, helping Sensus to level out production. That success is due to a variety of factors – and having everyone on the same page, communicating in the same language, has been key. At some of his previous employers, Wayne Marhelski found that one of his biggest challenges in implementing lean initiatives was getting top managers to buy into those initiatives. To do that, he had to learn how to speak their language. That’s not much of a problem any more, since Marhelski has joined the ranks of top management. But while Marhelski now speaks the language of management, and champions lean principles, he still runs into communication problems when those below him lack the understanding to translate their data into the type of information he needs. A variety of metrics are used in measuring lean improvements. In communicating to top management, the key is to translate those metrics into financial measures. “Everybody talks about lead-time reduction or improvement in sourcing, but nobody really talks about what that means in the financials,” he explains. For example, lead time reduction suggests a greater velocity, better on-time-delivery, less defects, and lower inventory, all of which can be assigned a dollar value that impacts cash flow, the profit and loss statement, and return on assets. Get with your financial people, get those numbers and build your business case for improvement. Marhelski notes that he routinely advises those outside of finance to take a course in finance for the non-financial manager. While Marhelski believes it is critical to talk in terms of financial measures to secure management buy-in, he advises those at lower levels not to focus just on the financial points. Non-financial issues, including points ranging from increases in uptime to improvements in morale, should be included as supporting material. Of course, top managers want more than projections; they want results. Toward that end, Marhelski endorses (and has used, at previous employers) the tactic of starting with a pilot project to demonstrate what lean initiatives can do. Because Lean is data driven, you should translate your pilot improvements into a dollar value. It takes work, but it needs to be done in order to tie the improvements to the overall financial goals of the organization. And once you have the necessary data, it is important that you are able to communicate the information. One general, important piece of advice Marhelski offers is to avoid vague terms like ‘better’ or ‘easier.’ Such terms, he says, allow someone else the opportunity to frame the conversation, and your ability to influence their decision. Effective communication is also about more than just using the right terminology. Engaging other people in the conversation is critical, Marhelski says, to win their confidence, learn what they regard as priorities, and help counter potential challenges to implementation. Understand your audience and the language they are comfortable conversing with. Understand the benefits and purpose of your message. Merge the goal of the message and the audience’s language to convey an understandable and meaningful message. Do your homework and have the necessary financial data to make your case.